Things To Do In Vancouver During May - For Cheap! Hello adventurers! Here is our monthly offering of exciting and unique events happening around Vancouver during the month of May. Make sure to check out one, or all, and if you do... make sure to take a picture wearing your shirt so we can post it right here! May 1 - BMO Vancouver Marathon! 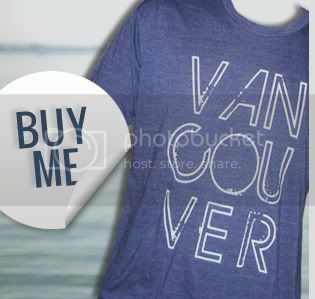 Just in case you didn't get enough marathon fun with last month's Vancouver Sun Run, here's another one for you! The 40th BMO Vancouver Marathon begins at 6:00am on Pacific Boulevard. Runners can participate in the marathon, half marathon, 8km run, or McDonald's Kids MaraFun. More details on where to watch and how to enter click here. The event also includes Brita's Sports Expo, a free exhibition showcasing some great health and fitness products and events. May 2 - Voting Day! 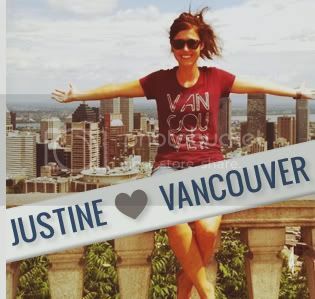 If you're a Vancouverite, or Canadian, today is the day to let your voice be heard. We are extremely fortunate to live in a democratic country, so lets celebrate that fact. If you're not sure which candidate you should vote for, take CBC's easy Vote Compass Quiz to find out which party aligns closest to your values. May 14 - Coronation Street Ping! Fact: Coronation Street is the world's longest running television drama serial, with it's first episode airing back in 1960. Over the years many Canadians have fallen in love with the British soap opera and become dedicated followers. If you're a fan of Coronation Street, you've probably already started the count down to the Coronation Street Ping event. 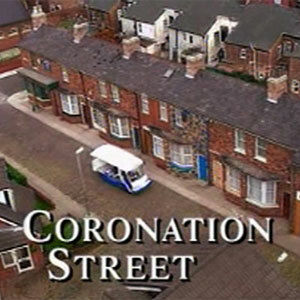 If you're a recent fan, here's your official introduction to the Coronation Street Ping. Fans are meeting at the Kings Head Pub and the event promises trivia, prizes, games, and lots of laughs. Tickets are $15 (which includes a meal and pint) and can be purchased in advance here. May 15 - EPIC Sustainable Living Expo! Trying to embrace a 'greener' lifestyle? Interested in finding local, ethically produced products and services? 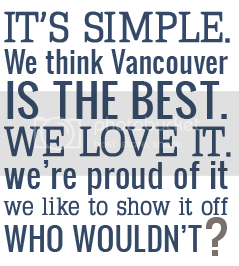 Want to learn more about sustainability and how we can keep Vancouver looking amazing? Check out the EPIC Sustainable Living Expo. Featuring exhibitors from fashion, food and beverage, leisure, business, travel, technology, health and beauty, and many more! Tickets are $12 for adults ($15 at the door) and $9 for Seniors/Students. May 18 - Canadian Video Game Awards! 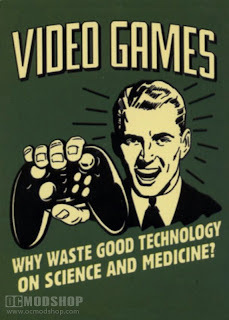 Calling all gamers, this event's for you! The Canadian Video Game Awards< celebrates the best and the brightest in Canadian video games. Did you know that Vancouver is home to some amazing gaming companies and video game creators? Well, it is. In addition to the awards ceremony (hosted by Victor Lucas, co-host of The Electric Circus) the weekend will also see the the Canadian Games Conference. Tickets to the awards show are $30-$45 and can be purchased in advance here. May 30 - Vancouver International Children's Festival! Families with young children, or anyone who believes they are still a kid at heart, make sure to check out the Vancouver International Children's Festival. The event runs from May 30- June 5th on Granville Island, and will showcase some of the best children's performers from around the world. In addition to the performances the festival also includes Interactive Zones, creative arts, and free entertainment. Kids can have their faces painted, design masks, learn American Sign Language, and engage with Interactive Sculpture Instillations or the Wish Garden. Show tickets are $22 (which includes access to the five Festival Interactive Zones), or a $5 wristband to walk around the site and participate in the Interactive Zones dispersed throughout Granville Island. Do you have an event we should know about or would like us to partner with you on? Email and tell us about it!